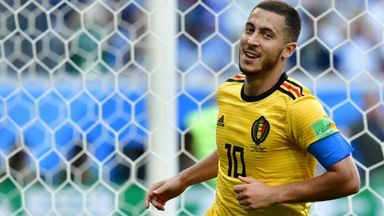 England missed the chance to finish with a flourish as Belgium ran out convincing 2-0 winners in the World Cup third-place play-off in Saint Petersburg. Thomas Meunier opened the scoring with just four minutes gone but despite their dominance, Roberto Martinez's side had to wait until the 82nd minute to settle the bronze medal match, Eden Hazard converting a pass from another familiar tormentor, Kevin De Bruyne. Victory in the cruellest game of the tournament represents Belgium's best finish at a World Cup but England, much improved after the interval, should at least boast the Golden Boot winner in six-goal Harry Kane, even if the Tottenham striker endured another frustrating afternoon.